Security solutions for airports | deister electronic UK Ltd.
deister has been supporting this large UK airport across departments since 2006 with our range of key cabinets and smart lockers. Fleet management has been a primary function of these systems which has expanded across the airport into various departments and operations. It is critical that the vehicles in use by the airport are available when they need to be and can only be used by authorised drivers. deister’s key management systems ensure that access to vehicles is only given to users who have the appropriate rights to that vehicle and restricts others from taking the keys they are not permitted. Keys which are taken are recorded against the user with the appropriate date and time stamp so that other users and administrators can find who has a key quickly and efficiently without the need to waste time hunting for it or trying to guess what someone has noted in a handwritten log. Deister recently enabled further modules on the software to allow departments to start recording mileage and faults against vehicles as users return keys to the cabinet, thereby further increasing efficiency and the available auditable information for keys and vehicles. Even a modern airport has a lot of keys and these are often of vital importance. As part of deisters work with the airport we have installed a key cabinet at the heart of the their security which helps the security team authorise access to some of the most sensitive keys on site. The system means they can be sure that only an authorised user has access to sensitive and secure keys and they always know who has them. Should they be needed in an emergency they can get to them as quickly with a minimal amount of delay. One of the maintenance departments at the airport needed to control access to expensive gas monitoring equipment to ensure they were being issued correctly and the risk of loss and damage was minimised. They turned to deister to provide the solution. 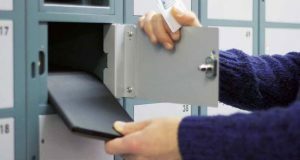 Working alongside their existing key management systems deister installed a smart locker. This now means only authorised users can remove the equipment and the removal and return is strictly and accurately logged automatically. This allows the department to know where this essential equipment is and helps to ensure it is available when they need it. The fact that users are aware they are automatically recorded as having the piece of equipment helps to ensure a duty of care which is backed up by the full audit trail available at the touch of a button. Recently deister were approached to fulfil a specific need within a specialist parking area of the airport. This award winning car park facility needed to find a partner to work with, offering an upgrade to the safety lock out system protecting the maintenance teams who need to work on the tracks or stations. 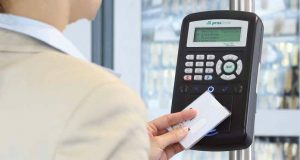 Working closely with their team deister suggested a way that one of our key management systems could be integrated directly and adapted to suit the needs of the parking department. This solution saved the airport time and money trying to develop a bespoke answer to their need and meant they could solve the problem more quickly and efficiently than might otherwise have been the case. They now have a working solution which can be easily replicated as the airport grows and the potential for more specialist car parking facilities is realised. Connecting all security aspects of each department with one central database during a 24/7 operation. Finding a solution to the airports vital keys providing them as quickly as possible and controlling access to the most sensitive keys. Implementing our Commander Software to function as a central database for the whole airport to ease the management of keys for the airports infrastructure. Management of a central database reduces administration and increases efficiency.